Prism - a polyhedron with two bases which are equal the polygon and the lateral faces parallelograms. That is, find the area of the base of the prism means finding area of a polygon. Polygon lying in the base of the prism may be a right, that is so, all sides equal, and wrong. If the base of the prism lies in a regular polygon, compute its area by the formula S=1/2P*r, where S is the area of a polygon P is the polygon perimeter (sum of lengths of all its sides), and r is the radius of the circle inscribed in the polygon. To visualize the radius inscribed in a regular polygon of a circle is possible, dividing the polygon into equal triangles. The altitude drawn from the vertex of each triangle to the side of the polygon that is the base of the triangle will be the radius of the inscribed circle. If an irregular polygon, to compute the area of a prism you need to split it into separate triangles and find the area of each triangle. Area of triangles is found by the formula S=1/2bh, where S is the area of the triangle b - side, and h is the height drawn to the side b. Once you have calculated the area of all triangles making up the polygon, just sum these areas to get the total area of the base of the prism. 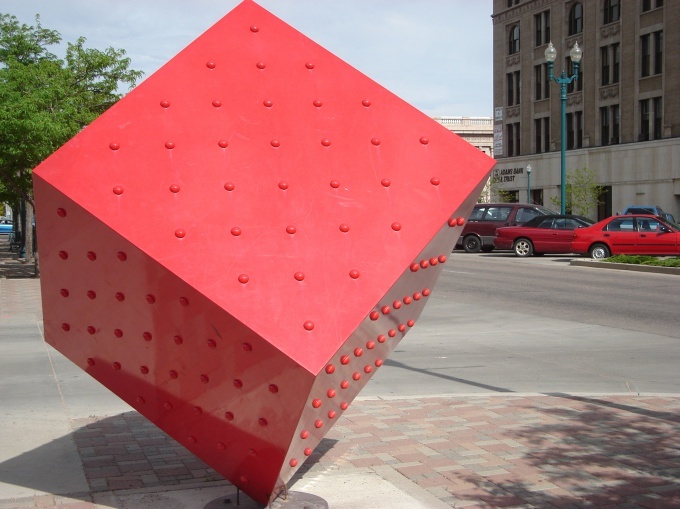 A parallelepiped is a polyhedron consisting of 6 edges, each of which is a rectangle. In order to know its volume, you must use the same formula. V - volume of the figure. The form of a parallelepiped have a real objects. Examples are the room and the pool. Details with this form - are not uncommon in the industry. For this reason, there is often the problem of finding the volume of this shape. A parallelepiped is a prism whose base is a parallelogram. The parallelepiped has a face - all the planes that form the given shape. In total he has six faces and all are parallelograms. Opposing faces are equal and parallel. In addition, it has diagonals that intersect at one point and it split in half. The parallelepiped is of two types. At first all faces are parallelograms, and the second with rectangles. The last of them is called a rectangular parallelepiped. He has all faces rectangular, and the side faces are perpendicular to the base. 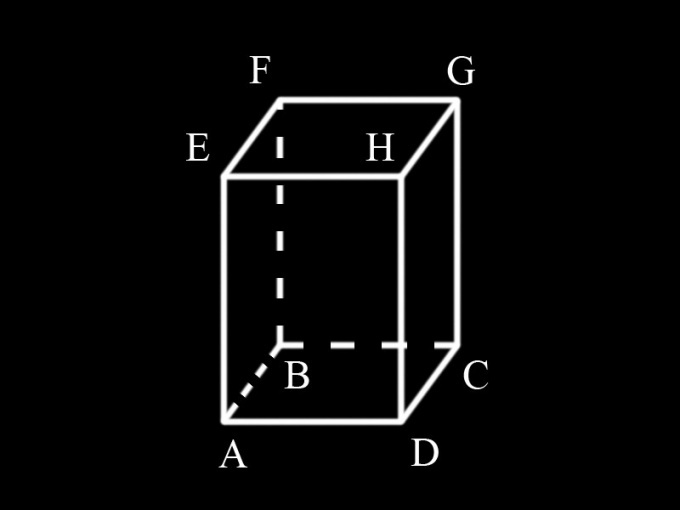 If the cuboid has faces, the Foundation of which the squares, it is called a cube. In this case, its faces and edges are equal. An edge is called a face of any polyhedron, which include the box. S=a*b, where a and b are, respectively, side of the rectangle and edges of the parallelepiped. A prism is called a polyhedron whose base are equal polygons. The side faces of the given geometries represent the parallelepipeds. They can be perpendicular to the bases, and in this case, the prism is called a straight line. If the faces with the base an angle, the prism is called oblique. The lateral surface area is determined in these cases in different ways. theorem of sines and cosines in the case of the inclined prism. Build a prism with the specified parameters. You must know at least the type of this geometry, the dimensions of the sides of the base, the height and angle of inclination of the side edges. The last condition is necessary for the inclined prism. Calculate the lateral surface area of a right prism. According to the definition, the geometric body of a side edge perpendicular to the base. This means that the perpendicular cross-section of both congruent polygons lying at the base. That is, the lateral surface area of a right prism is calculated by multiplying the perimeter of the base to the height. This can be expressed by the formula S=P*h, where P is the perimeter of any grounds. Browse it, adding the lengths of all sides. In some cases it is sufficient to find properiter and multiply it by 2. To find the total surface area of a right prism, add to the resulting value is twice the area of the grounds. If the base is the triangle or a quadrilateral, the sides of which you are aware, the area is calculated by the usual formula for this geometric shape. But the polygon can be more complex. In this case, make additional constructions, dividing it into shapes with known parameters or those that can be fairly easy to find. To compute the area of the inclined side surface of the prism must be perpendicular to the build section. It is a cross section which is perpendicular to all edges. It can be positioned so that it cuts off some of the edges of the triangle formed by the edge between the base and the lateral face part of a side edge and a line perpendicular to the section. If the base is an irregular polygon, side line sections belonging to different facets, you will have to calculate separately. This can be done by theorems of sines and cosines, using the specified angles of inclination. Calculate the perpendicular side section, fold them length and get the perimeter. Multiply it by a given height, you will get the lateral surface area of the inclined prism. S=P'*h. P' in this case means the perimeter of a perpendicular section. Volume determines the amount of space occupied by any body. This value is constant ratios associated with other characteristics of the physical bodies of their geometrical dimensions, weight and density. Therefore, the measurement of these additional parameters may become the basis for volume calculation, for example, of the vessel. If it is possible to fill the vessel with water to determine its volume enough to have any dimensional shape. Depending on the size of the vessel measuring utensils can be a syringe, a beaker, a Cup, a jar, a bucket or any other tableware, the capacity of which you are aware. Picking the appropriate measuring vessel, fill with water to the brim of the vessel studied, and then pour the water into the measuring vessel, measuring thus the volume. If you fill the vessel with the investigated liquid is not possible, but you can put it in liquid, determine the volume by the number of the displaced and their water. It also require any measuring utensils. Filling it partially with water, mark the level, then place in a measuring bowl of the investigated vessel so that it is completely under water, and make a second mark. Then, determine the difference in volume of volumetric glassware by the difference between the two marks made. 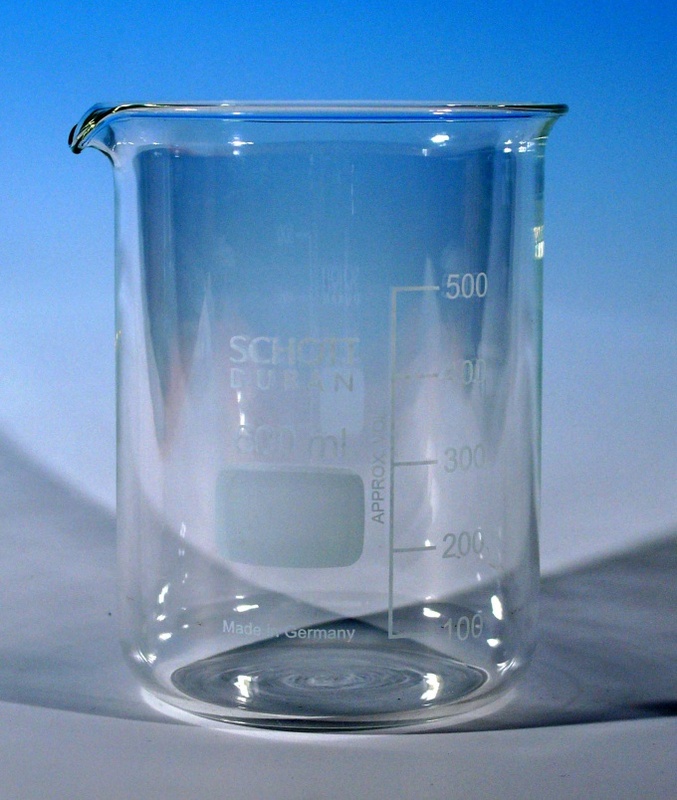 If volumetric glassware is not, but it is possible to weigh the vessel, then determine the difference between the empty vessel and filled with water. Assuming that one cubic meter of volume should hold water, weighing one tonne, calculate the volume of the vessel. If the vessel has a geometrically regular shape, its volume can be calculated by measuring the dimensions. To find the volume of the vessel is cylindrical in shape (e.g., pans) need to measure the diameter (d) of its base (the bottom of the pan) and height (h). The volume (V) is equal to one quarter of the product of squared diameter and to the height and the number PI: V=d2∗h∗π/4. For finding the volume of a vesselhaving the shape of a ball, is sufficient to determine its diameter (d). The volume (V) will be equal to one-sixth part of the product raised to the cube of the diameter by PI: V=d3∗π/6. If you measure the circumference (L) of the spherical vessel at its widest part easier (for example, using a centimeter), than to measure the diameter, the volume can be calculated and using this value. Cubed the length of the circumference must be increased six times PI squared: V=L3/(π2∗6). To find the volume (V) of the vessel is rectangular in shape, it is necessary to measure its length, width and height (a, b, and h) and multiply the resulting values are V=a∗b∗h. If the vessel has a cubic shape, it is enough to build the length of his ribs in the third degree: V=a3. A parallelepiped is a prism (polyhedron), the base of which lies the parallelogram. Have a cuboid - has six faces, also parallelograms. There are several types of the box: rectangular, straight, slanted and cubic. Direct is called a parallelepiped, whose four lateral faces rectangles. To calculate the volume we need the area of the base times the height V=Sh. Suppose the base of a parallelepiped is a parallelogram. Then the footprint will be equal to the product of its side on height spent to this side - S=AC. Then V=ach. Called straight rectangular parallelepiped in which all six faces - rectangles. Examples: a brick, a matchbox. To calculate the volume we need the area of the base times the height V=Sh. The footprint in this case is the area of a rectangle is the product of the magnitudes of two of its sides S=ab, where a is width, b - length. So, obtain the required volume V=abh. Sloping is called a parallelepiped, the side faces which are not perpendicular to the faces of the base. In this case, the volume equals the area of the base to a height - V=Sh. The height of the slanted parallelepiped perpendicular segment dropped from any of the top vertex on the corresponding side of base side faces (that is, the height of any lateral face). 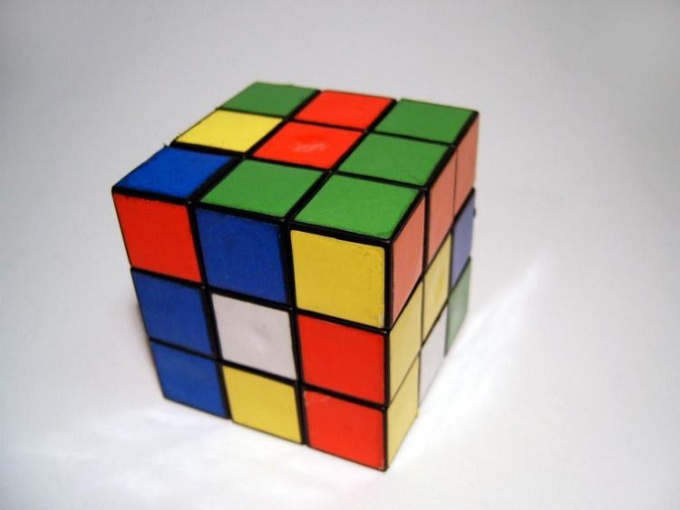 A cube is called a direct box, which has all edges equal and all six faces are squares. The volume equals the area of the base to a height - V=Sh. Base - square, the base area of which is equal to the product of its two sides, i.e., the value side of the square. The height of the cube - the same size so the volume will be the size of the cube erected in the third degree is V=a3. The base of the box are always parallel to each other, it follows from the definition of the prism. Dimension of the parallelepiped is the length of its edges. Volume is always equal to the product of the square base to the height of the parallelepiped. The volume of the slanted parallelepiped can be calculated as the product of the magnitude of the lateral edges of the square perpendicular cross-section. A prism is a polyhedron two of whose faces are equal polygons with correspondingly parallel sides, and the remaining faces parallelograms. To determine the surface area of a prism is quite simple. To start, determine what kind of shape is the base of the prism. If the base of the prism is, for example, triangle then it is called triangular, if the quadrangle - quadrilateral, Pentagon - pentagonal, etc. Since the condition indicates that the prism is rectangular, and therefore, its bases are rectangles. Prism can be straight or curved. Because the condition does not specify the angle of inclination of the side faces to the base, it can be concluded that it is straight and the lateral faces are also rectangles. 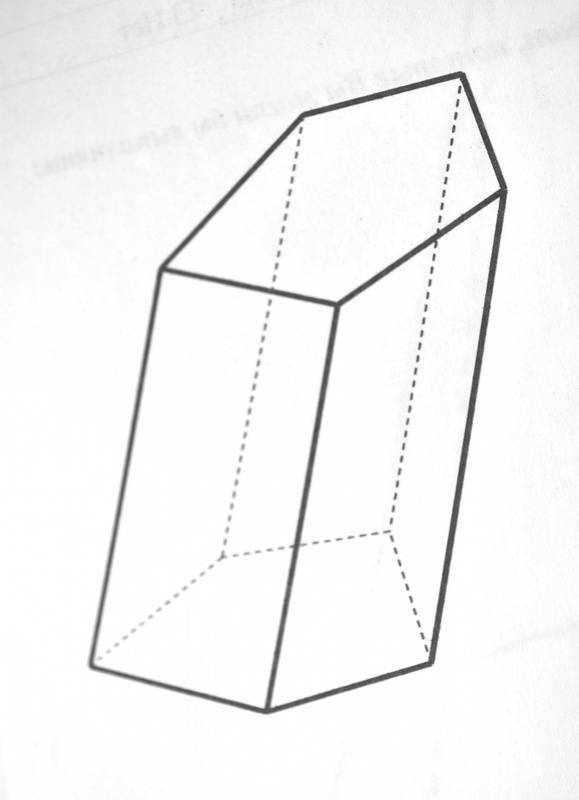 To find the area of the surface of the prism, you must know the height and the size of the sides of the base. Since the prism is straight, its height coincides with the side edge. Type designation: AD = a; AB = b; AM = h; S1 – area of the bases of the prism, S2 the area of its lateral surface, S – the total area of the surface of the prism. Prism has 4 lateral faces are rectangles. Side AD faces ADHE is both side of the base ABCD is equal. Side AE is an edge of the prism and is equal to h. The area of the face equals АЕHD a. Because the face AEHD is equal to the face BFGC, their total area: 2ah. Face AEFB AE has an edge that is party to the bases and equal to b. Another edge is the height of the prism and is equal to h. The area of the face is equal to bh. Face AEFB is equal to the face DHGC. Their total area is equal to: 2bh. The area of the whole lateral surface of the prism: S2 = 2ah+2bh. 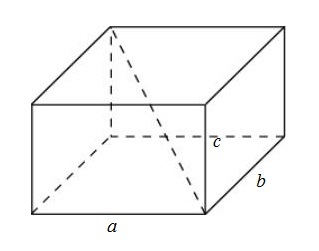 Thus, the area of the surface of the prism is equal to the sum of the areas of the two bases and four lateral faces: 2ab + 2ah + 2bh or 2(ab + ah + bh). The problem is solved.